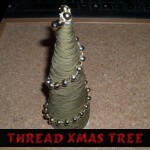 Learn how to make this adorable Christmas tree with the following simple-to-follow, step by step instructions. 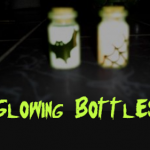 Learn how to make glowing decorated bottles for Halloween decorations…a great craft for kids. 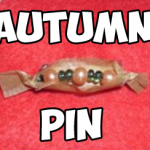 Learn how to make a cute little brooch to wear during Fall or you can even wear it on Thanksgiving day 🙂 You can even make one for all of your guests. 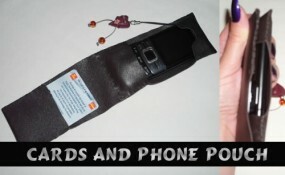 Learn how to make a great leather / vinyl wallet for your dad’s gift for Father’s Day. This wallet makes a perfect gift for Father’s Day: it is great to hold his phone and business cards. Learn how to sew a realistic looking shamrock or felt clover for wearing on Saint Patricks Day. A great first-time sewing craft for older children. Have fun! 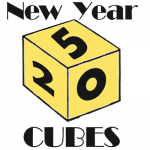 How about making a cube with the numbers 2015 (or whatever year it happens to be when you see this tutorial). A fun thing to do is to write a letter about what you hope for the following year. Put it inside the cube. Don’t look at it until the following year. 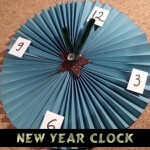 Here is a fun craft for younger kids who can’t stay up to 12:00 yet. You can make a countdown to 12 and have a pre-party with your young children, counting down to 12. 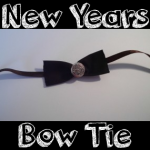 This way your children don’t feel like they missed out on any of the New Year celebrations. 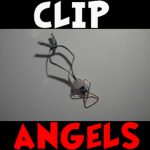 You can make a cute little paperclip angel to hang on your Christmas tree or to just decorate your bedroom or house. These are super easy to make and all of the materials are probably sitting around your house somewhere. 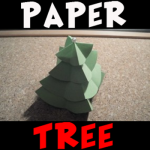 Learn how to use green construction paper and a pin to form a beautiful Christmas tree that really stands. 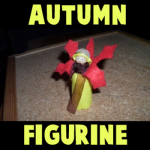 Here is a pen and pencil holder craft that is easy to make and great for an Autumn / Fall theme. 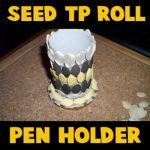 This pencil holder is made with a recycled cardboard tube from a toilet paper roll or a paper towel roll. Use seeds and paint or markers to decorate the cardboard tube. Find the crafts instructions below. Your kids will love this one. School is about to start yet again and we thought you would love this craft to make a hand-sewn notebook cover. 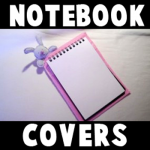 It is a super cute notebook cover that includes a stuffed bunny rabbit at the top. You love to write on it! This is an adorable craft idea for little girls and teenage girls on the Fourth of July. 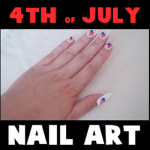 By using mailing labels, you can make very patriotic nail art that can be taken off easily after the celebrations have finished. 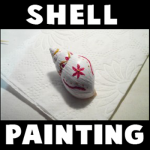 This is a fun and easy project for Summer-time and it is very inexpensive to make. 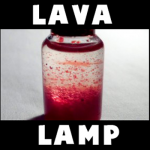 This craft is to make a beautiful, homemade lava lamp. You most likely have all the crafts materials already in your house and kitchen.